I recently learned the dirtier I got in the shower, the better. Of course I’m referring to a body scrub, you were thinking that too, right? Jealous Body Scrub hails from Vancouver and contains 100% natural ingredients such as Robusta coffee grounds, raw brown sugar, sea salt and cold pressed coconut oil. A must-have for anyone who wants to reduce the look of cellulite, stretch marks, eczema or if you’re looking for healthy, glowing skin in general (a.k.a everyone, ever). The scrub comes in a flat, brown paper bag you zip open and close like a regular Ziploc, and if you can’t place the brown bag anywhere in the shower or if the water is making the bag flimsy, pour the contents into a clear jar like I did! Now, let’s get into the dirty details. 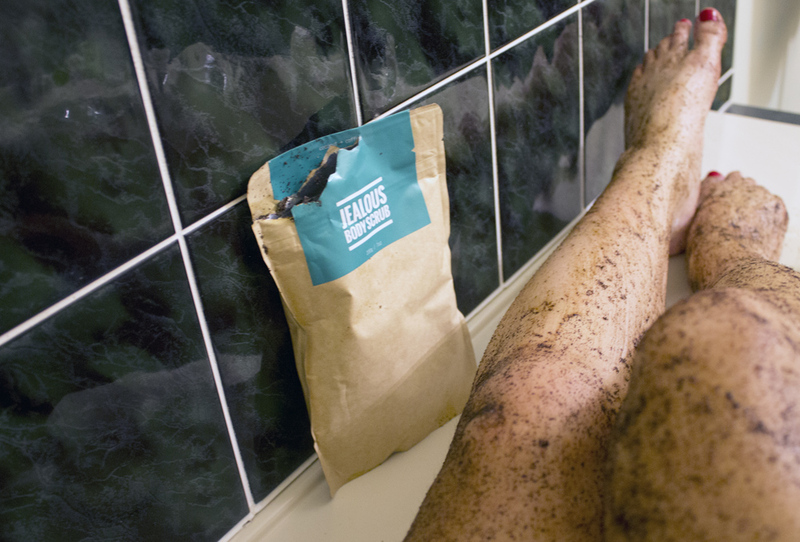 When I first opened Jealous Body Scrub, I instantly got a huge whiff of coffee. You wouldn’t know the difference if you held the scrub in one hand and a regular coffee grounds in the other. As a coffee lover this was not a bad thing, it woke me right up! 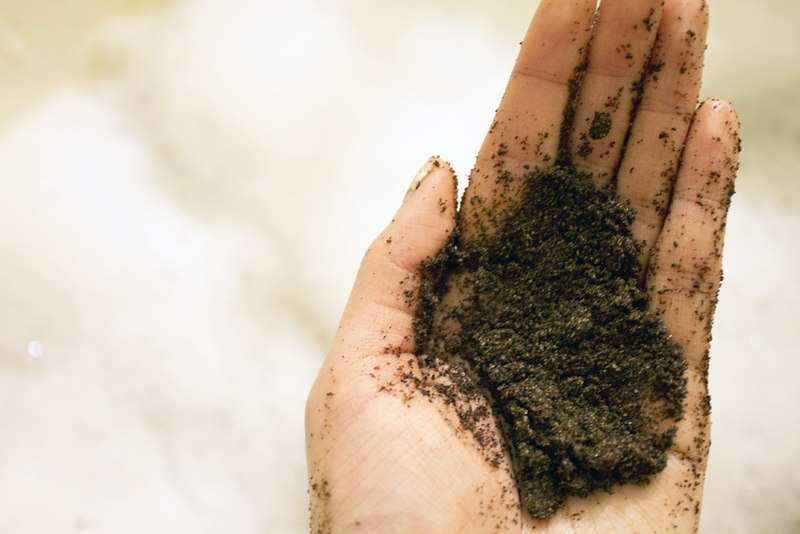 During my shower, I scooped the brown scrub into my hands and spread the grainy, soil-like texture all over my body, noticing how well it worked with the dampness of my skin to spread evenly. I used circular motions to exfoliate and loved how the scrub stuck onto my skin, unlike over exfoliators, which can slip right off after application. The coffee helps stimulate blood flow to make skin look suppler, and as a person with eczema, the coconut oil’s anti-inflammatory properties helped penetrate my skin tissue to heal flaking and itching caused by cold, dry weather. After five minutes, I rinsed off the scrub and my skin was smooth and moisturized. Seriously! I didn’t even need to put lotion on afterwards. I recommend giving this natural scrub a go, because a) it’s Canadian b) it’s all natural and c) getting dirty in the shower was actually a lot of fun. You can purchase your bag of Jealous Body Scrub online and it retails for $17.95CDN each.